Andrea Adele Harvey, 67, passed away on Wednesday, April 3, 2019. Andrea Adele Harvey was born on June 7, 1951, to David and Margaret Watkins in Baltimore, Maryland. Andrea received her formal education at Merrick Moore High School in Durham, North Carolina. She furthered her education at Fayetteville Technical Community College in Fayetteville, NC, where she obtained a LPN certificate. Andrea attained a position with Carolinas Medical Center as a Licensed Practical Nurse. She devoted more than 30 years of service working in the NIC Unit, giving gentle care and love to babies who were in need. Her care and concern continued even after she retired in 2013. In her early 20’s, Andrea accepted Christ as her Savior at Creeksville A.M.E. Zion Church. Later, she became a member of Word of Reconciliation Church where she served as a Prayer Intercessor. Andrea became a devout God-fearing woman who truly walked by faith and not by sight. She was always willing to be a listening ear and a prayer warrior for others. Andrea would pray for you and pray with you no matter the day nor the hour. In December 1970, Andrea was united in holy matrimony with Edward Anthony Harvey in Brooklyn, New York. Their union was blessed with 3 children. Andrea was a true Matriarch of her family, instilling in them the Greatness of God, love, commitment, dedication, independence, hard work, and family. Family was everything to her. She believed in the closeness of family and would often have family dinners and family gatherings. Her teachings, life, and legacy will be passed on to her children, grandchildren and great-grandchildren. Andrea Adele Harvey departed this life on April 3, 2019. She was preceded in death by her husband, Anthony Harvey; mother, Margaret Hyde; father, David Watkins; and brother, Douglas Watkins. She leaves to cherish her memory her children, Edward (Nina), Samuel (Barbara), and Lashonda; grandchildren, Monique (Antonio), Ebony, Tiffany, Jamesha (Dominique), Briaunne & Briaunna, Ai’Asia, Jeremiah, Edward, Jr., and Nehemiah; great-grandchildren, Amiyah, Emmanuel, Kailee, Emariee’, Alijah, Ki’Mari, Naomi, and Messiah; sister, Vanessa Gilliam; nieces and nephews, Yakima, Kyle, Ayanna, Anton, Andrew, and Nicole; and a host of other loving family and friends. 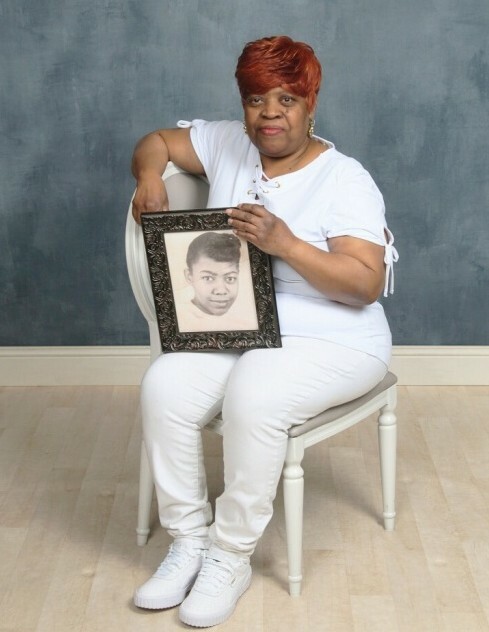 A public viewing for Ms. Harvey will be held from 6:00 PM - 8:00 PM, on Friday, April 12, 2019, at Boston's Mortuary 4300 Statesville Road, Charlotte, North Carolina 28269. The family will receive friends at this time. A Celebration of Ms. Harvey's life will be held on Saturday, April 13, 2019, at Boston's Mortuary. The visitation will begin at 1:30 PM and the funeral service will begin at 2:00 PM. Interment immediately following service at Gethsemane Cemetery and Memorial Gardens 1504 W. Sugar Creek Road, Charlotte, North Carolina 28262. The Harvey Family have entrusted arrangements to Boston's Mortuary.